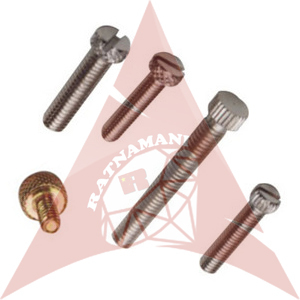 We, as a prominent Manufacturer, Exporter and Supplier, bring forth Knurling Screws. They are manufactured using first-class raw material ensuring their sturdiness and longer service life. Our team of experienced professional takes care of the designing and fabrication. We leave no stone unturned to ensure that our product is factory tested prior to shipment. They are available in different customized specifications as per the request of the customer at economical rates.